Your electrical system is easily one of the most important aspects of your Wildwood home, playing a prominent role in just about every activity that you and your family enjoy around your house on a daily basis, and anytime something goes wrong with your system, you want to be sure that you have the name of a professional Wildwood electrician you can count on to get it sorted out as quickly and accurately as possible. Here at AnyTime Electric, we are the premier name in quality electrical services throughout the Wildwood area, and our team of skilled specialists would be happy to assist you with all of your electrical needs. Are you looking for a professional Wildwood electrician who can help you with any and all of your electrical service needs, no matter how simple or complex they might be? If so, give our team of skilled professionals a call today and let us show you the kind of quality service that has helped to make us one of the most trusted names throughout the Wildwood area. . Here at AnyTime Electric, our team of skilled electricians understand just how serious electrical issues around your home can be, both in terms of inconvenience and in terms of actual danger to you and your family. Because of this, we offer a comprehensive line of quality electrical services to ensure you always have easy and fast access to the kind of service you need. 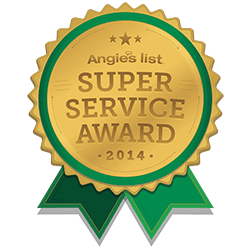 Whether you are looking for electrical repairs, home generators, panel upgrades, or even wiring upgrades, our team of skilled professionals can make it happen. If you have any questions about our full line of quality electrical services, or if you would like to schedule an appointment for consultation, give us a call today. Our team of experts are standing by and always ready to help. Your electrical system is an incredibly complex network, and as such, it isn't uncommon for things to go a bit haywire from time to time, but with that being said, some of the little issues that can arise from time to time can actually put your home at very serious risk. Anytime you have any kind of electrical malfunction around your home, whether it is a loose or buzzing outlet, you notice that your lights seem to constantly be flickering, or your breakers are constantly tripping, it is always a good idea to call in a professional electrician can let them get to the bottom of the issue at hand and provide you with the repairs you need. Letting electrical issues linger only increases the risk of something bad happening to your home, your family, or yourself, so don't hesitate. If you are looking for an Wildwood electrician then please call Anytime Electric at 314-280-0997 or complete our online request form.